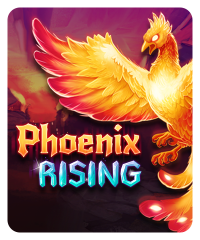 Phoenix Rising is a mythical phoenix-themed slot machine. 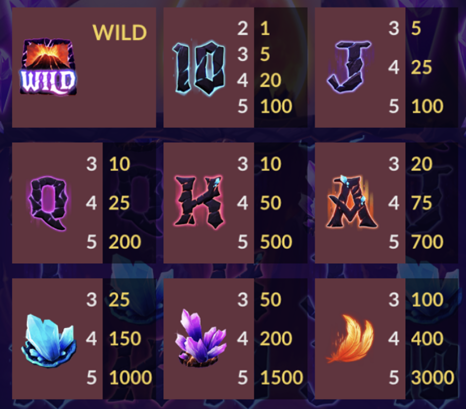 Get three full phoenix symbols on the reels to become “Fired Up”. 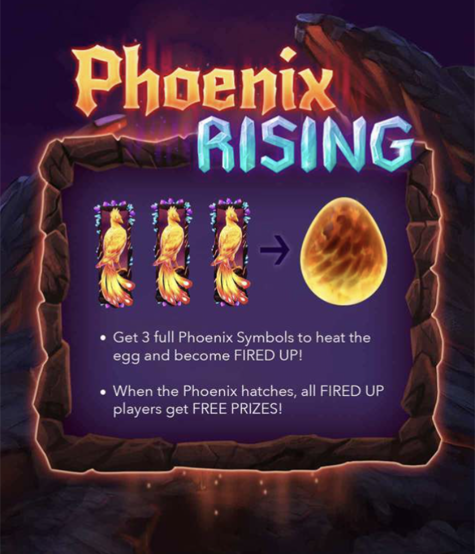 When the phoenix hatches from the egg (after five fires), all “Fired Up” players get chips. The sounds of this slot machine are in a heavy metal music theme. 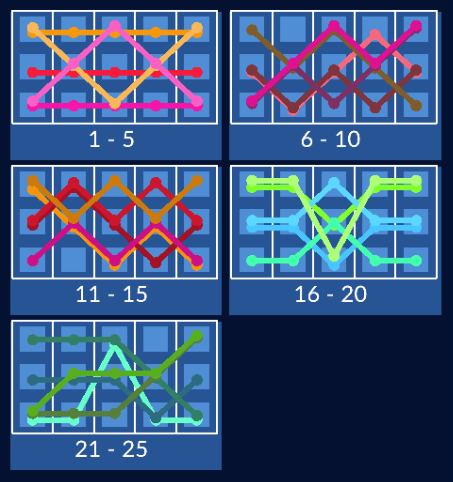 This slot machine does not offer a jackpot.